Rob provides the strategic thinking and vision for our business and for our clients. He has commerce running through his core. Possibly the best way to describe Rob is as a brilliant problem solver, inspirational and forward thinking. His innovative thinking and approach has led to stunning business improvements for our clients, and broken stalemates in many commercial negotiations. Never predictable, his ability to motivate and drive results from the most unlikely candidates is superlative. That’s why our client’s keep coming back. He has over 30 years purchasing and supplier management experience in both operational and management consulting roles working for Reckitt & Colman (now Reckitt Benckiser); Black & Decker, Austin Rover Group, Pricewaterhouse and Ernst & Young. His consulting experience extends to Europe, the Far East and the United States of America. He is a highly engaging speaker with extensive experience of chairing and presenting at conferences and facilitating large workshops. 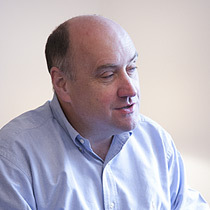 Rob is co-author and editor of “Good Purchasing Practice Guide” prepared on behalf of the Universities Funding Council for England and co-author of “Procurement Benchmarking for Higher Education”. He is the author of Eat the Ugly Frog, a pocket book of 101 negotiating tips. In 2016 Rob was a contributing author to “First Value then Price” edited by Snelgrove and Hinterhauber and published by Routledge. In 2017 Rob contributed to “Malcolm McDonald on Key Account Management” by Malcolm Mc Donald & Beth Rogers, published by Kogan Page. He is a member of Chartered Institute of Purchasing (CIPS) and a founding fellow of the Chartered Institute of Marketing’s Sales Leadership Alliance. He is a visiting speaker at London Business School, Chalmers Professional University in Gothenburg, Ramon Hull University Business School – ESADE, Barcelona and Cranfield University Key Account Management Club. Janet is our go to person for helping companies recruit and develop skills, attitudes and mindsets. She has the knack of developing and delivering highly engaging and inspiring interventions across levels, functions, sectors and geographies that result in changed behaviours. Highly experienced operationally as a manager and presenter, Janet regularly provides consulting, training, coaching and mentoring across a range of commercial subjects including negotiation, contracting, risk management, proposal writing, project management and supplier management. She has worked in the UK, The Netherlands and Australia for companies including News International; Dutch based consulting firm DDV Media & Telecommunications, Logica, Spencer Stuart and Emap. Prior to joining Mi, she was head of information and communications, and a member of the management team at Dutch based European consulting firm DDV Media & Telecommunications, and later at Logica Consulting, the management consulting arm of Logica following its acquisition of DDV. 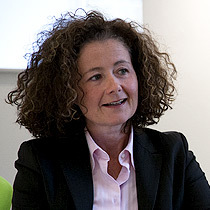 She worked for the international executive search firm Spencer Stuart as its first Head of European Knowledge Management. She has 12 years experience as a business editor and journalist working across radio, newspapers and magazines in Australia and the UK. She has worked for leading publishers EMAP plc, Haymarket Publications and News International. Janet has a Master of Business Administration from Lancaster University Education (she was a winner of the Sunday Times Lancaster University Women in Business MBA scholarship) and a Bachelor of Arts (Hons) from University of Melbourne, Australia. She is an ADR Group accredited mediator and she has certificates in performance coaching and stress management coaching. She is a British Psychological Society British Psychological Society accredited Occupational Test User – Ability and Occupational Test User – Personality (commonly known as level A and B testing). Janet loves the outdoors whether it’s strapping on hiking boots and setting off for a long walk or gardening. Her current challenge is to develop her tennis skills.